Skip hire whether it is for commercial, residential or and trade, requires a little know how before you jump in. So, this post should help guide you through the ins and outs of hiring builders skips. Commercial skip hire tends to involve a fleet of skips of various sizes, while a sole trader can hire a builders skip for each job as and when they need to. There are convenient options for any scale of operation, from the smallest of jobs to the colossal volumes of inert waste produced during demolition, for example. Skips are measured in (cubic) yards. The standard builders skip size is 6 yards: that’s one of our medium skip sizes, which is available in different formats (open, closed and drop end) to cater to a range of sites and equipment. Drop end skips are great for wheelbarrow access, while open skips are easy to fill with earthmoving equipment. We understand that not everyone is familiar with cubic yards as a measurement – or cubic metres for that matter. For a sense of scale, a builder’s skip is about 1 metre tall (3.3 feet), or roughly waist height, around 2 metres (6 feet) wide and around 3 and a half metres (11 feet) long – plenty of room for a single room renovation project or the removal of a paved driveway, for example. A standard sized 6 yard builders skip can hold about 4,600 litres, which is the equivalent of 55 full size black bin bags. Not every job needs a standard sized builders skip. 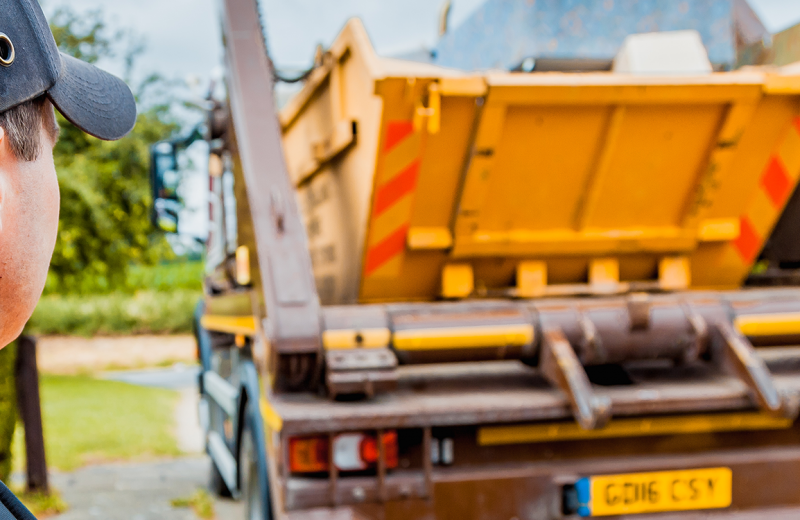 For smaller projects, or removing a small amount of rubble, mini skip hire offers a far more rugged and convenient alternative to using heavy duty refuse sacks. On the other end of the scale, large skips offer huge capacity: the equivalent of 80 bin bags in volume. 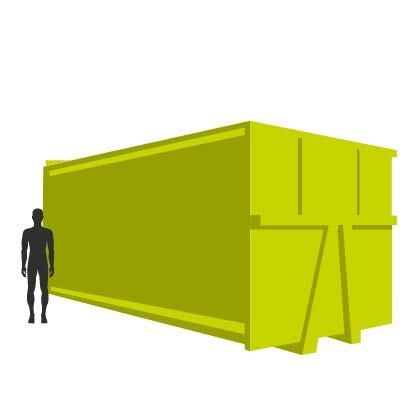 At 1.8 metres tall, a large skip hire is best reserved for large-scale domestic or smaller commercial jobs. For the biggest projects, you need the biggest skip size – and roll on/roll off (RO/RO) waste containers are the biggest in the business. Our RO/RO waste disposal containers are available up to a capacity of 40 cubic yards. If you have enough space onsite, you may find these particularly useful if doing a complete home renovation project. Valley Trading operates all around Gloucestershire. With so many locations, it’s hard to list them all! Our main locations are Gloucester, Cheltenham and the surrounding area. A more detailed list of locations can be found on our skip hire locations page. If you can’t find your local area, feel free to get in touch. To talk to our skip hire experts, arrange a site survey or find out more about how we can help with your next project, fill out a quick contact form now or give us a call on 01666 505800.